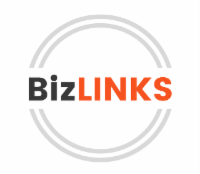 BizLinks is a non-exclusive leads & networking group for Triad professionals of all industries hosted by Business High Point - Chamber of Commerce on the 2nd and 4th Tuesdays of each month from 8 - 9AM. Business professionals have the opportunity to give a 30 second commercial for their business and listen to a 10-minute presentation from one group member at each meeting. Please park in overflow lot across from Spectrum. The 2nd & 4th Tuesdays of each month from 8 AM to 9 AM. This event is free to members & guests may attend twice before joining.